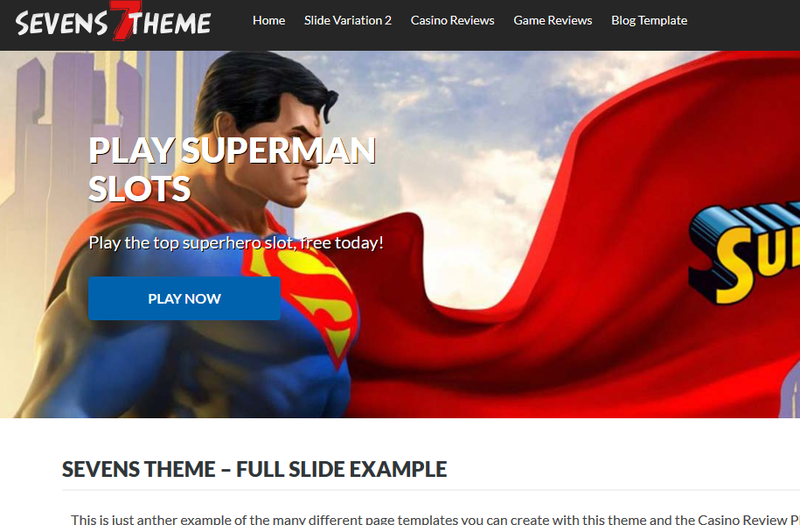 The Sevens theme is the ultimate casino affiliate theme using the Casino Review Plugin. It is a very modern looking theme, simple, but very functional and optimized to increase clicks to your affiliate sites. 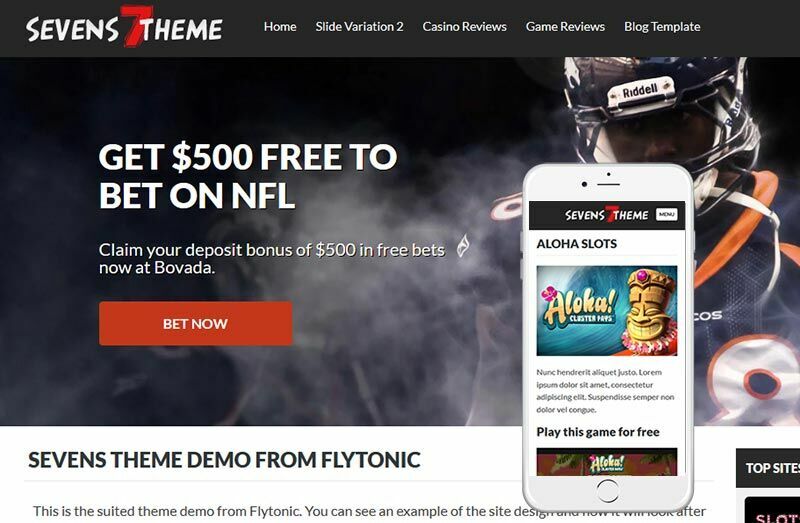 The Sevens theme is the ultimate casino affiliate theme when combined with the Casino Review Plugin. Included with this theme is a slide template, which can easily used as a home page or landing page. You can use mulitple slides or just one slide and create a call to action to a casino or another page on your site. The theme includes a custom top list widget with several variations that can be geo targeted. There are also several other tables and toplists that can be geo targeted so you can show visitors casinos or sportsbooks that are only available to them. For example, for US visitors you could promote only casinos they can access and play at, which will improve your conversions overall since you will not be wasting clicks to sites that are restricted. The theme offers ability to create different game demo pages as well as casino review pages. You can chose to use page with or without a sidebar on theme as well. The theme is optimized for mobile traffic and includes a nice mobile menu for users. This theme requires the Casino Affiliate Plugin. We also recommend an SEO plugin like Yoast WordPress SEO plugin. No SEO added options are included in the theme. Are any casino sites,games or logos included? No, you are free to promote any casino, gambling or other affiliate sites you wish. You will need to provide your own logos,games, casinos and content for each. There are a few built-in color options and background theme options. Buttons colors, link colors, header background, sidebar headings, and a few other options are provided. The demo shows a few options as well.